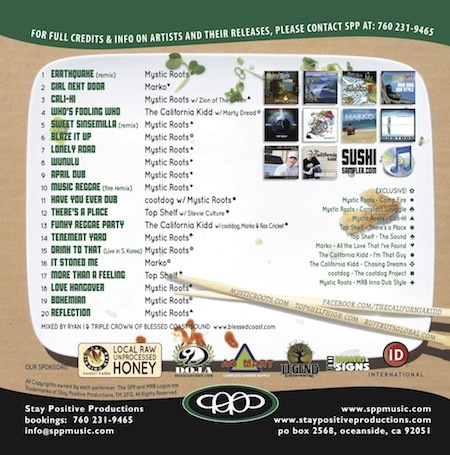 Blessed Coast Sound and Stay Positive, which was founded in 2002 by Cootdog (Mystic Roots) and Rich-I and is now lead by Charles Burton, have released the new album The Sushi Sampler. The album features new, old and exclusive tracks from Mystic Roots, The California Kidd, Marko and Top Shelf. To download the album for free head over to http://www.thesushisampler.com.